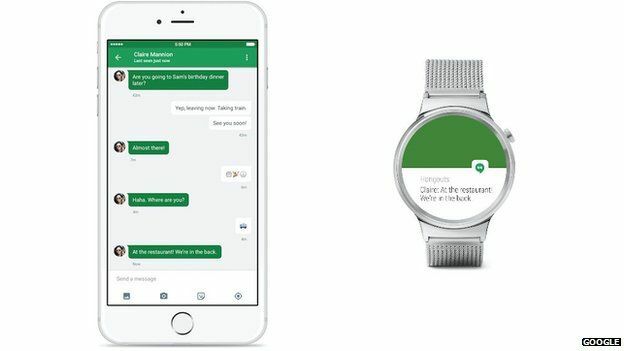 For the first time it seems a user will be able to pair Android Wear with an iPhone. The move greatly increases the potential market for the watches and, it seems may pose a challenge to the Apple Watch. Google announced the news in a blog prior to the Ifa tech show in Berlin, where several new smartwatches will be unveiled. “Today, Android Wear for iOS works with the LG Watch Urbane,” wrote David Singleton, Android Wear’s director of engineering. However, to provide some context, the Verge news site, has highlighted some of the features that an iPhone user would lack. It seems using Android Wear paired with iOS would not be able to run the full range of third-party watch apps, limited ability to customise their wearable to the same degree they could if they owned an Android phone. Further limitations include an inability to reply to text messages via an Android Watch, and the fact it cannot be used to search for a specific song in Apple’s Music service. The latter is highlighted as popular functions that Apple’s own smartwatch can do. Reports suggest 530 million iPhones have been sold over the past three years. This gives an indication to the size of additional market now open to Android Wear device-makers. Huawei, Motorola and Asus are expected to show off new Android-powered models, while LG has already announced a “luxe” version of its existing LG Watch Urbane which features a gold body and alligator skin watchstrap. Samsung, will be showing off new watches that use its own Tizen operating system, rather than Android. The Samsung Gear S2 family includes a version that has a built-in 3G data link, meaning it can be used to make calls and get notifications when not paired with a smartphone.